Refinancing your mortgage is a great way to reduce your monthly payment or take out some of the equity in your home. So, let’s take a look at 4 questions you should ask yourself if you are thinking about refinancing a home. #1 Can You Get a Lower Interest Rate? Mortgage rates have dipped again over recent weeks, and can provide a great opportunity to refinance. If you can refinance your mortgage and get a 1% lower interest rate, you could save thousands over the term of the loan, making refinancing well worth it. For a great example of how this can work, see this recent article and infographic: How Much Can You Save By Lowering Your Mortgage Rate by 1%? Refinancing a home to a lower interest rate is one of the popular ways of saving money each month, but several other factors must be considered. #2 How Long Will You Be Paying Your Current Mortgage? If your mortgage is almost paid off, refinancing would not be advantageous in most cases. If the break-even point on a refinance is 2 years, and you only have 18 months to pay on your existing mortgage, refinancing your mortgage would cost more than you saved. But if your mortgage will not be paid off for a few years, there’s a good chance you could save money over the term of the loan by refinancing. And if you have a relatively new mortgage, and can get a mortgage with a lower rate of 1% of more, you could save many thousands of dollars. #3 Do You Want to Cash-Out Some Equity When You Refinance? Many people refinance their mortgage to cash-out equity. If you are considering taking equity out of your home by refinancing, see this article for details: Benefits of Cash-Out Refinancing. #4 Do You Plan To Move? 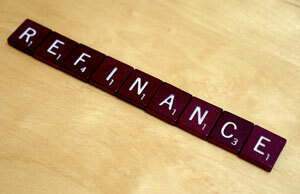 “Time” is an important factor in calculating whether refinancing a home is beneficial. If you’re planning on moving in the next year, you wouldn’t want to refinance your mortgage, because there is not enough time to reach the break-even point. But, if you plan to live in the home for 3 or more years, refinancing to a lower interest rate could save you some money. And if you plan to be in your home for several more years, refinancing to a lower interest rate is more likely to save you a great deal over the term of the loan. To help do the math, you can use the CalcXML Refinance Calculator. Enter the details about your current mortgage, then enter the details of a refinance mortgage. The calculator will give you the monthly payment, break-even point (i.e., how long it would take to pay for the refinance with the savings), and the total interest. If you think refinancing your home could be advantageous, you can begin the process by talking with a mortgage loan originator who can answer your questions and help you better understand the costs and benefits of refinancing.